A long time ago, in a galaxy that looked a whole lot like this one, there were a lot of people wearing bell-bottoms and feathered hair. And those people loved Star Wars. It was a simpler time, back when the creation of the “digital watch” was enough to make minds explode and cell phones were a thing only millionaires could own, even though they were the size and weight of concrete bricks. George Lucas was everyone’s hero and John Williams created a score with earworms that would burrow into our collective subconscious and remain there for decades. And we LOVED IT. For those of us who lived it, and those of us who are just being introduced to it today, Star Wars is a phenomenon we just can’t get enough of. We love the movie, we love the costumes, we love the lunchboxes, we love the pencil cases…we love it scrambled, smothered, or covered…any way we can get it. So, we’ve ordered up an Imperial Spaceship full of our Favorite Star Wars Items that we think you’ll dig, too. All of these items can be ordered online and will be delivered to your door faster than you can say, “Kessel Run in less than 12 parsecs”. Because normal knife blocks are stupid. 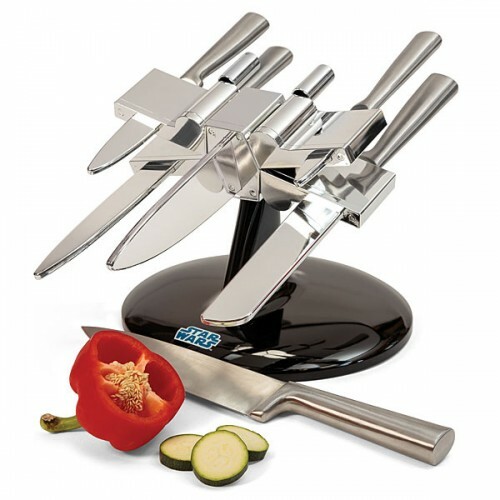 Okay, maybe stupid is harsh, but why have an ORDINARY knife block when you know a Star Wars X-Wing Knife Block exists? Quick! 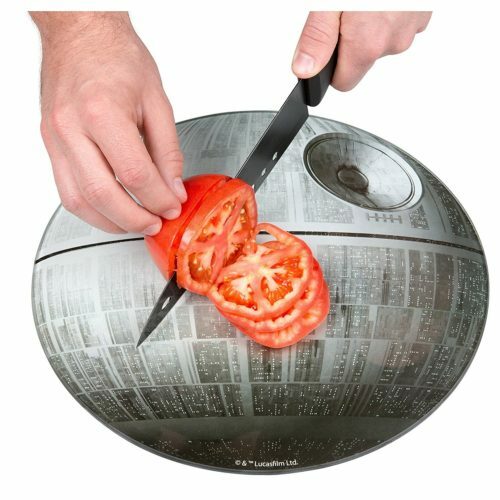 Chop as fast as you can before your vegetables blow up on this Death Star Cutting Board! Just kidding. It can’t hurt you. Mind your digits. Because your other laundry bins aren’t this cute! Bring Artoo your stinky socks; he doesn’t mind. 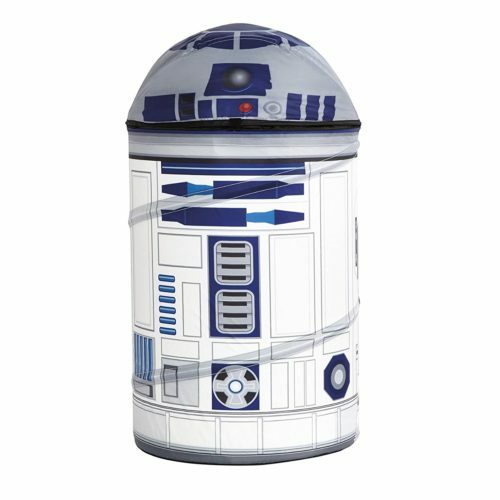 This R2D2 Clothes Hamper was made to make your dirty laundry look adorable. 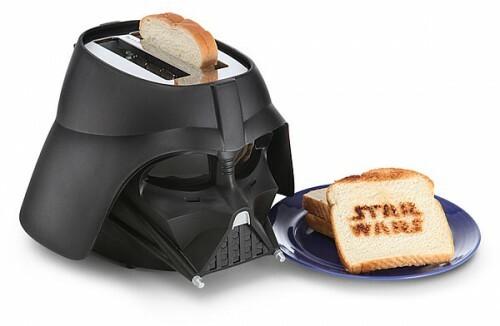 Come to toast’s dark side with this Darth Vader Toaster. Really, really Dark Toast never tasted so good. Their snarky, galactic romance was unparalleled. 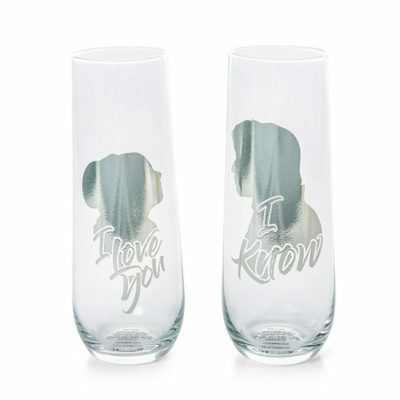 Treasure their beloved banter for all time with these Leia and Han Stemless Champagne Flutes. You don’t have to take these bags bowling. You don’t even have to like bowling to have these bags! 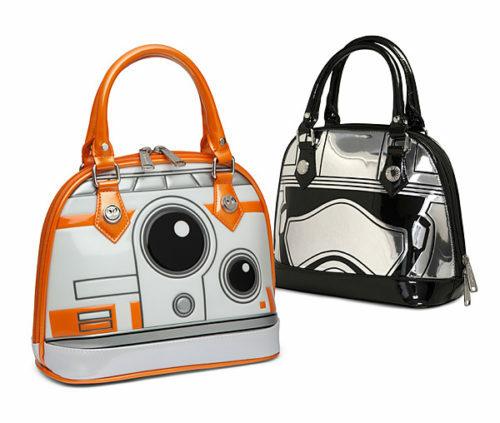 These Force Awakens Bowler Bags were made for schlepping WHATEVER you want. Including Baby Ewoks. Because sometimes, you wake up with Wookie Hair. 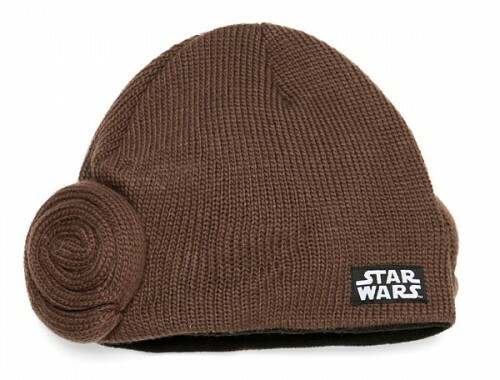 For those days when your hair decides to rebel, tell it who’s boss with this Princess Leia Beanie. Also good for days when your hair looks especially fetching! 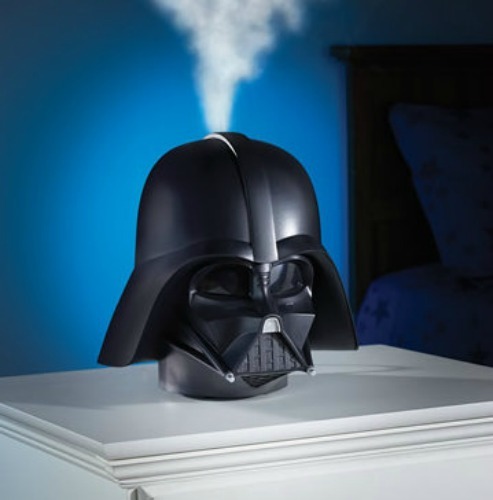 Because this IS the giant, misting head you’re looking for. Everybody needs to blow off a little steam sometimes. It’s part of Darth’s Anger Management Program. 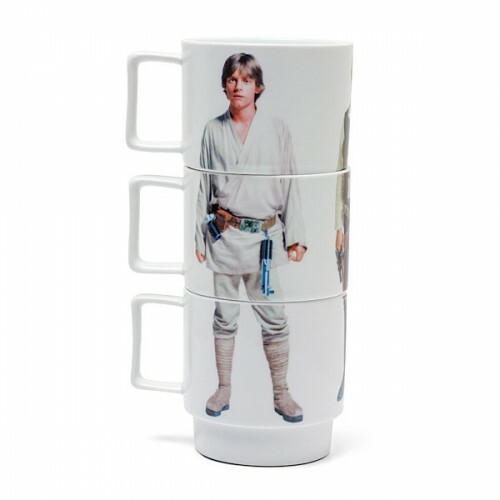 Blue Milk for you, Blue Milk for you, Blue Milk for you…now we can share Blue Milk with the whole colony thanks to these Star Wars Stackable Mugs! Thanks, Aunt Beru! 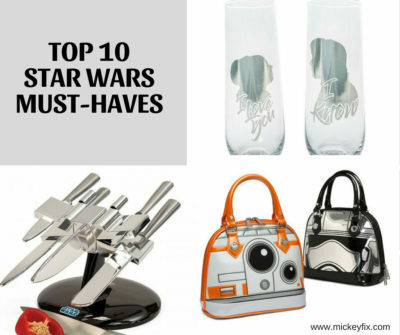 Because no one will mess with your lunch when it’s shaped like a scruffy little Nerf Herder. 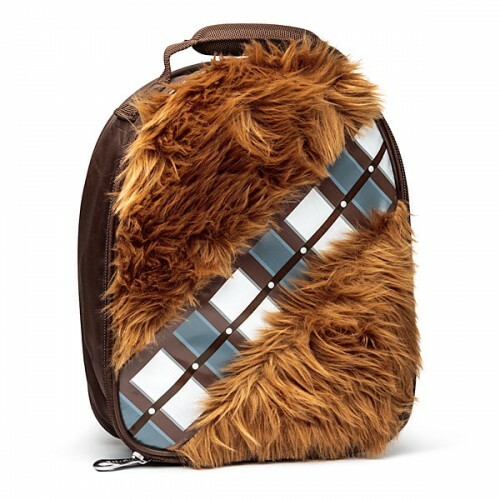 Protect the Cheese Sandwich in this Chewbacca Lunchbag! There’s more where that came from, Jedi Friend! Check out our Favorite Star Wars T-Shirts and our Rogue One Gift Guide, right here on Mickey Fix!